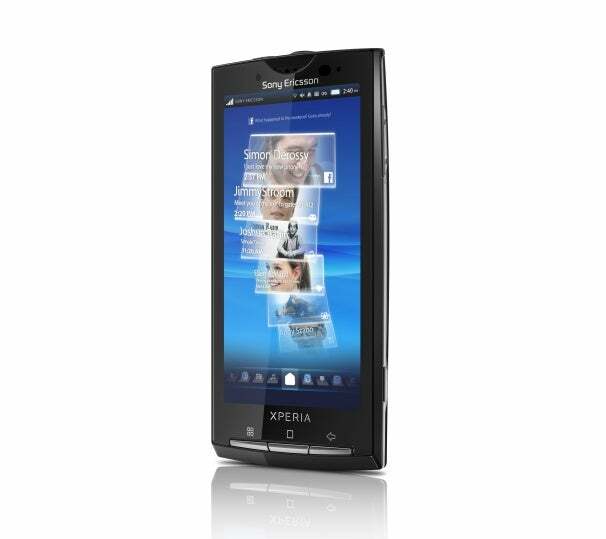 AT&T and Sony Ericsson revealed that the Xperia X10 Android smartphone will soon be available exclusively from AT&T. The Xperia X10 adds yet another Android-based smartphone to the AT&T inventory as an alternative to the BlackBerry Torch 9800, or the Apple iPhone 4. According to a joint press release from AT&T and Sony Ericsson, the Xperia X10 smartphone will be available from AT&T as of August 15. The Android smartphone will sell for $149.99 with a two-year service agreement and minimum smartphone data plan (either 200mb per month for $15, or 2Gb per month for $25). On paper, the Xperia X10 specs seem impressive enough: 4-inch touchscreen display, 1Ghz Snapdragon processor, and built-in GPS. It has an 8.1 megapixel camera with cool features like smile detection and face recognition, and it is expandable to 33Gb of memory. Based on those specs, it would seem that the Xperia X10 is on par with other cutting edge Android smartphones like the EVO 4G or the Droid X. However, the Xperia X10 does have two significant handicaps--it is still running an outdated version of Android, and it uses a proprietary interface that makes the device feel sluggish. Sony Ericsson has announced that the Xperia X10 will be updated to Android 2.1 by the end of this year. For now, though, it is still running a relatively archaic Android 1.6, and by the time the smartphone gets Android 2.1, Android 2.2 will already be showing its age and Google will probably have its sights set on releasing the next major update to Android--putting the X10 behind the curve even after it catches up. The MediaScape and TimeScape proprietary custom interfaces used on the Xperia X10 provide a unique user experience at the cost of system resources and performance. MediaScape organizes music, photos, and video content, and TimeScape provides integrated access to communication and social networking, but the complex animations lose their novelty quickly and end up just sapping the system. AT&T still doesn't have a game-changing Android smartphone like the EVO 4G or Droid X, but the Xperia X10 joins the HTC Aria and the Samsung Captivate to expand the Android options in the inventory. Along with the new BlackBerry Torch 9800, these smartphones diversify the smartphone options so that AT&T is not a one-trick pony tied solely to the Apple iPhone. With persistent and recurring rumors of the impending end of iPhone exclusivity--with the iPhone allegedly coming soon to Verizon, or T-Mobile, or both--AT&T is moving in the right direction. To truly compete in a post iPhone exclusivity market, though, AT&T is going to need a real, top-of-the-line Android smartphone capable of going head to head with the iPhone.